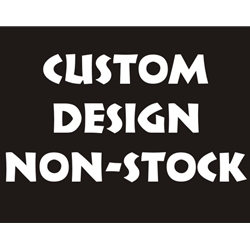 #3 Custom Printing Options [3customdesign] - $10.00 : Tightwad Tees , Screen printing, embroidery, and design services with no minimums and unbelievable pricing!! If you're wanting your own custom design added to an existing stock item, contact us at mary@tightwadtees.com . If it's something we can do, we'll direct you to order the specific shirt and then come here to order the customization option. And for clarification purposes, the reason complete design customization is so expensive is because we are "old skool" screen printers and an entirely new screen will have to be made to create a custom designs.